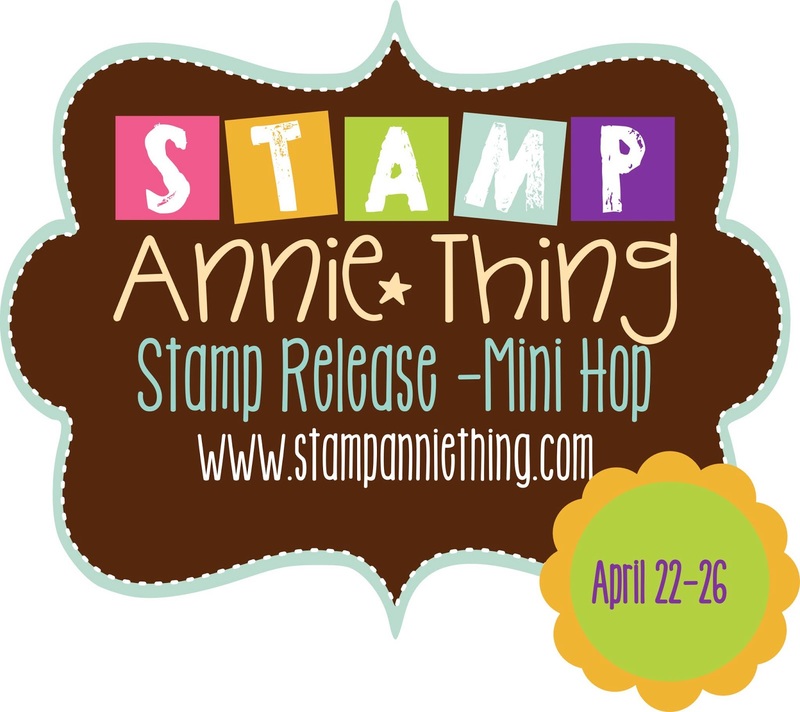 Good morning and welcome to Day 1 of our new release week for Stamp Annie*Thing!! We are super excited to be showing you some new stuff coming out. If you just came here from Squeaky Scrapper you're in the right place. If you just happened upon my blog today you'll want to start at the beginning of the hop which is Ms. Stamp Annie Thing herself. FRIDAY and you can click this link to take you there. 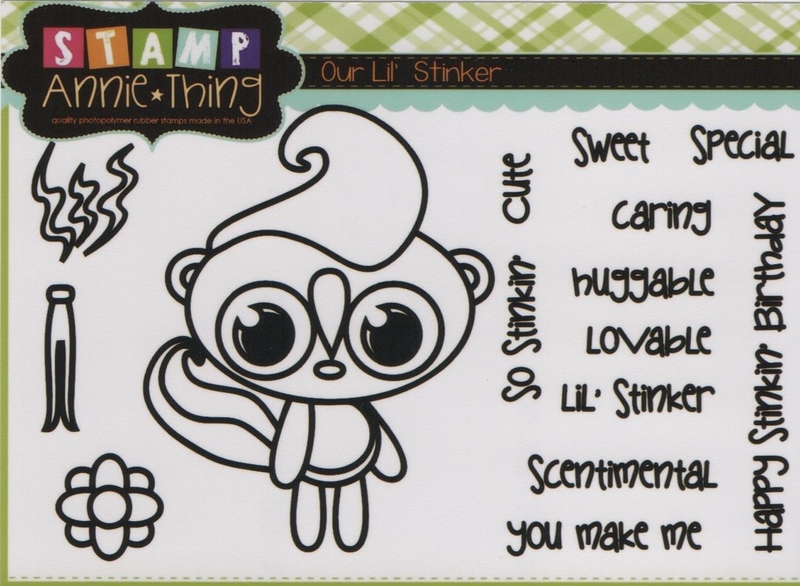 Today's release is "Our Lil' Stinker" from the Lil' Series. they just make the whole image come alive ..
Now, what would a hop be without a fun giveaway...right?? 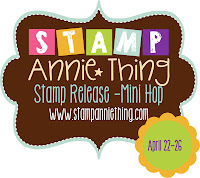 share your Stamp Annie*Thing projects with us ~ we would LOVE to see them! See ya tomorrow, same time, same place!!! I love the blue around his eyes it really draw attention to them. I like the colors and you did a great job with the coloring. The highlighting is really good! Adorable! Love the colors and those pretty flowers. I am loving this set! I love the colors you used for your card! Great job! 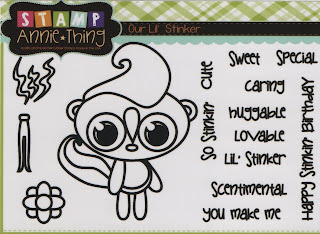 The paper and colors are so cute all together w/stamp.